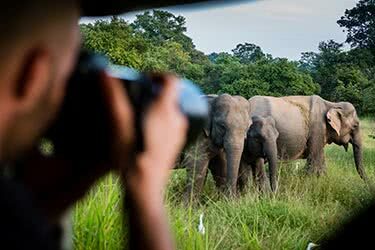 This luxurious 14-day Sri Lanka itinerary will take you to the island's most important religious, historic and natural sites. 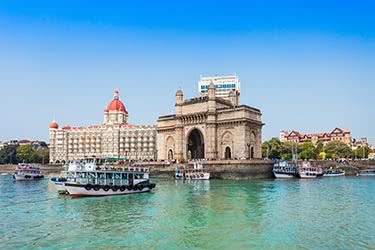 You'll see remnants of ancient civilizations and visit intricately-adorned Hindu and Buddhist temples, some of them millennia old. 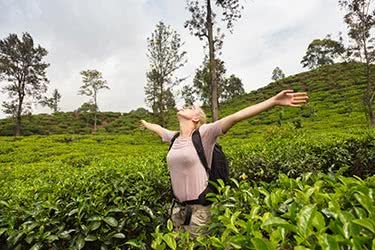 On this tour you'll also see more recent history preserved in the inland cities of Kandy and Nuwara Eliya, home to colonial vestiges and stunning mountain scenery. 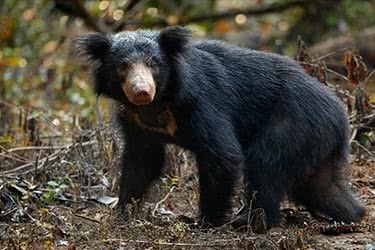 You'll also take safaris through Sri Lankan wilderness, seeing the country’s protected areas and spotting a wide range of wildlife including elephants, monkeys and deer. 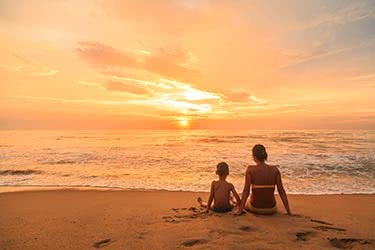 Each night of your trip, you'll stay in a luxury resort, relaxing in style after a full day exploring Sri Lanka's treasures. 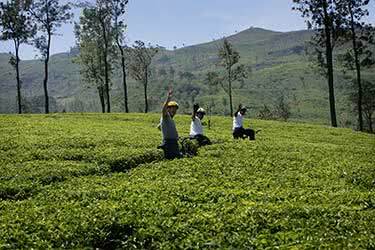 You'll begin your luxury 14-day tour of Sri Lanka in the capital of Colombo. 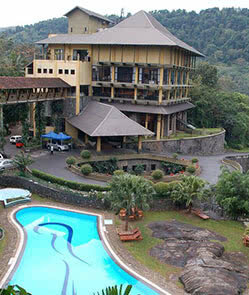 On your arrival, you'll be met at the airport and transferred to your hotel. 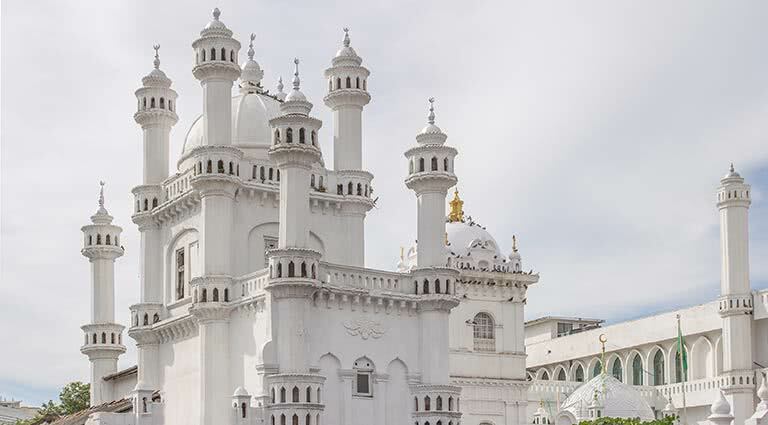 Colombo has a great range of luxury accommodation, and for your stay, we recommend the grand heritage-style Tintagel or the boutique Park Street Hotel, with its wide verandas and collection of contemporary Sri Lankan art. 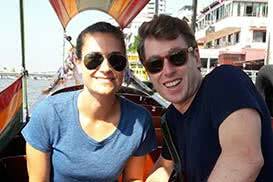 In the evening, you are free to enjoy dinner at your hotel, or find a restaurant in the city center serving spicy Sri Lankan curry. This morning you will make your way to the UNESCO World Heritage Site of Anuradhapura, around 4 hours away. 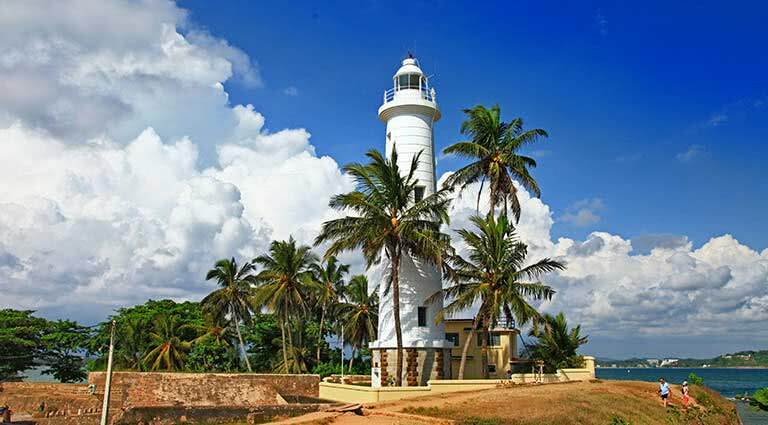 Along the way, you'll visit Puttalam, 80 miles north of Colombo, and home to Munneswaram Hindu Temple. This elaborate tribute to Shiva dates back to 1,000 CE and still hosts major religious festivals. You'll reach Anuradhapura in the afternoon, where you'll set off on a sightseeing tour of this ancient city. Major sites here include remnants of the ancient kingdom – stupas, a moonstone, the Abayagiri Dagoba Theravada Buddhist monastery and the Jaya Sri Maha Bodhi, a tree said to have grown from a branch of the Bodhi tree under which the Buddha attained enlightenment. Proceed to Dambulla, where you will stay this evening at Heritance Kandalama, a green hotel overlooking the Sigiriya Rock Fortress. After a leisurely breakfast at your hotel, you'll depart for the ancient city of Polonnaruwa – another UNESCO World Heritage Site, 80 minutes away. 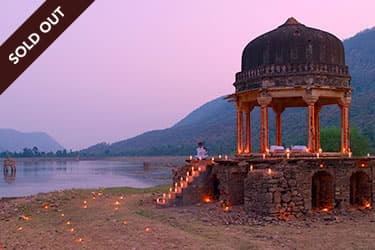 Here, you'll see 12th-century palace ruins, religious and royal statues, stupas and more. For a proper understanding of the site, you'll visit the Archaeological Museum. 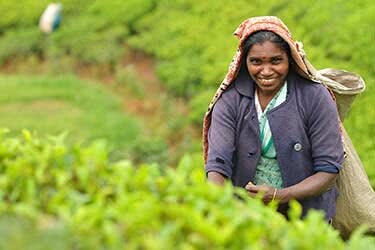 For lunch, enjoy an authentic Sri Lankan meal with a family in the local village. Next, you have the option to take an elephant ride through the jungle of Habarana. 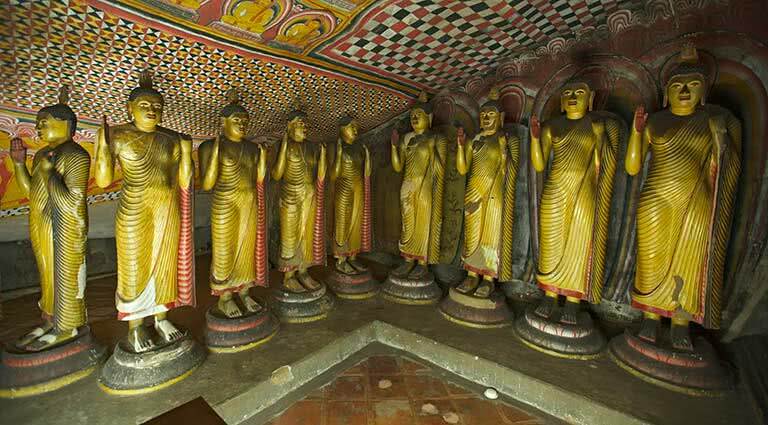 In the evening, you'll visit Dambulla Cave Temple, a sacred site with cave shrines containing ancient statues and paintings. Most caves feature effigies of the Buddha, but some pay tribute to Hindu gods, such as Vishnu and Ganesh. There are five main caves, the oldest dating back to the 1st-century BC. Return to relax at your hotel. 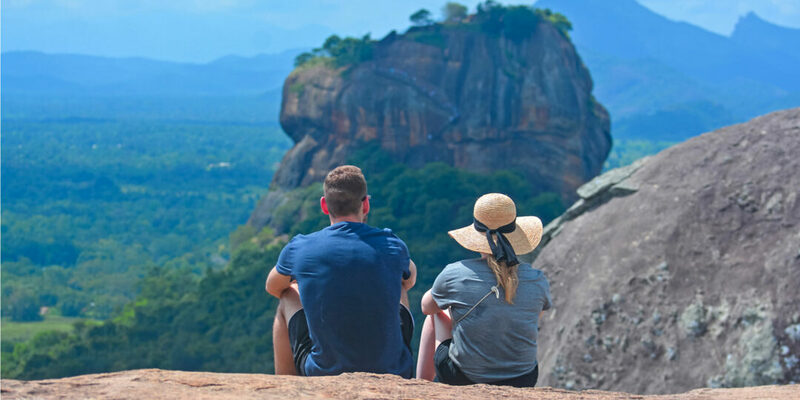 Today you'll leave the hotel early to explore Sigiriya Rock Fortress with a picnic breakfast to enjoy at the top of the rock. 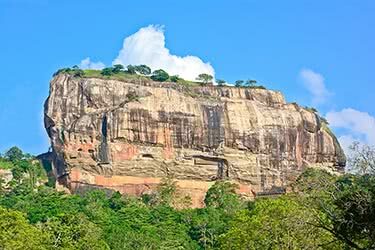 Sigiriya, which means Lion Rock in Sinhalese, is a revered site with a long, fascinating history. Its surrounds are believed to have been inhabited since prehistoric times and the rock itself was once the site of a monastery. It features frescoes, water gardens and fountains, as well as the Lion Gate – huge stone paws that guard the staircase to the top. 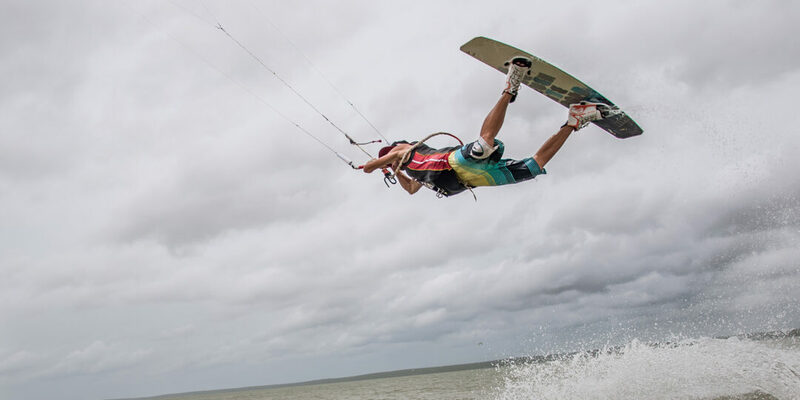 For lunch, you'll dine in a local restaurant, and in the afternoon you'll see the striking Namal Uyana and forest – the largest ironwood forest in Asia – and the striking pink quartz mountain. Return to the beautiful Kandalama Hotel for the night. 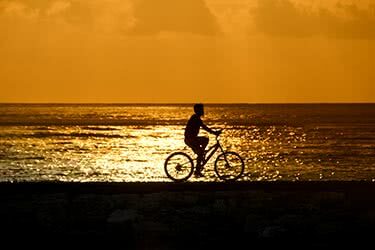 After breakfast at the hotel, you'll make your way to Trincomalee (around 2 hours' drive), a major port city that overlooks the stunning Trincomalee Harbor. Here, you will visit the Koneswaram Temple, a medieval Hindu temple complex that sits atop a cliff at the edge of the sea. Next, you'll see the Kanniya Hot Water Wells, where locals bathe in square, shallow wells full of hot spring water. 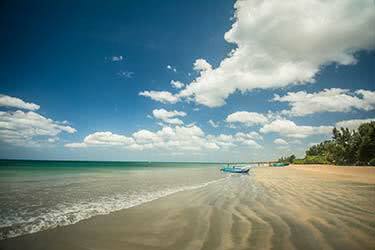 In the afternoon you have free time to spend on the beaches of Trincomalee. 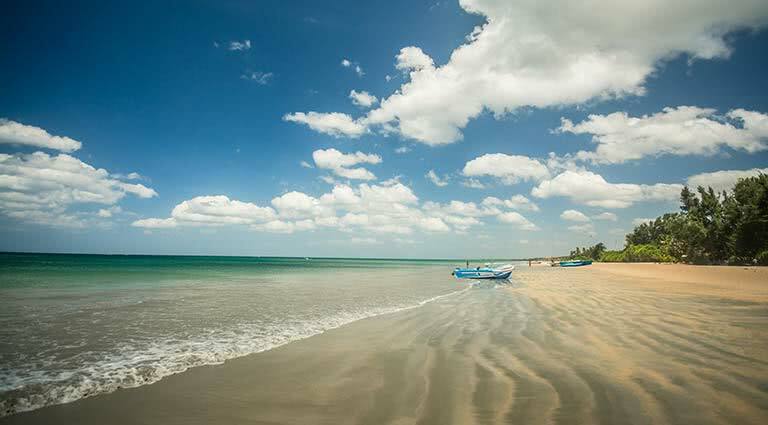 The coastline here features wide sandy shores and bright blue waters, perfect for a romantic afternoon stroll before you settle into your hotel in Trincomalee for the night. 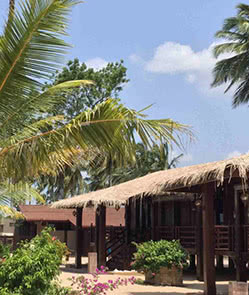 We recommend the luxurious Nilaveli Beach property or the Jungle Beach Resort. 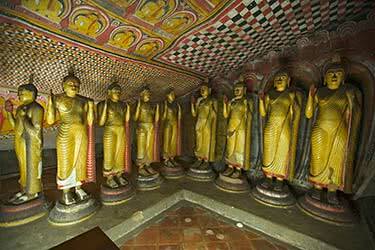 Today you'll see the Girihandusaya Buddhist Temple, just north of Trincomalee in the small Tamil village of Thiriyai. The temple houses what may be the oldest dagoba – Sinhalese for stupa – in the world. Next, you'll take a trip to Pigeon Island, where you can enjoy leisure time exploring the protected coastline here. Pigeon Island is located in one of Sri Lanka's two National Marine Parks, and is actually two rocky islets – one of which is surrounded by coral reefs. A variety of turtles and rock pigeons call this area home - you may be lucky enough to spot some. 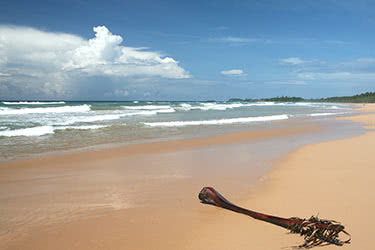 In the evening, return to your beachside resort in Trincomalee. 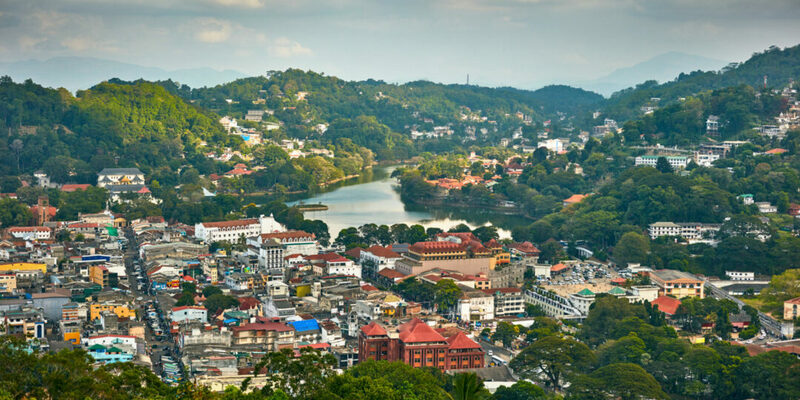 Today you’ll head to the picturesque hillside city of Kandy, the second-largest city in Sri Lanka - around 3.5 hours' drive. 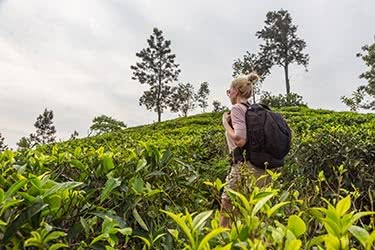 En route, you'll visit the Spice Garden to learn all about the health – and taste – benefits of herbs and spices often used in Sri Lankan medicine and cuisine, such as turmeric, citronella grass, vanilla, cocoa, and cinnamon. 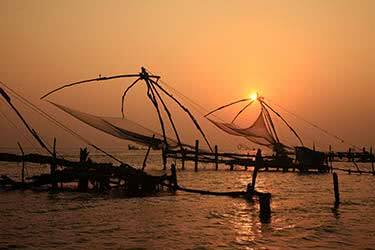 Whet your appetite by observing a cooking demonstration, then enjoy lunch in a rice paddy in tranquil Kamatha. 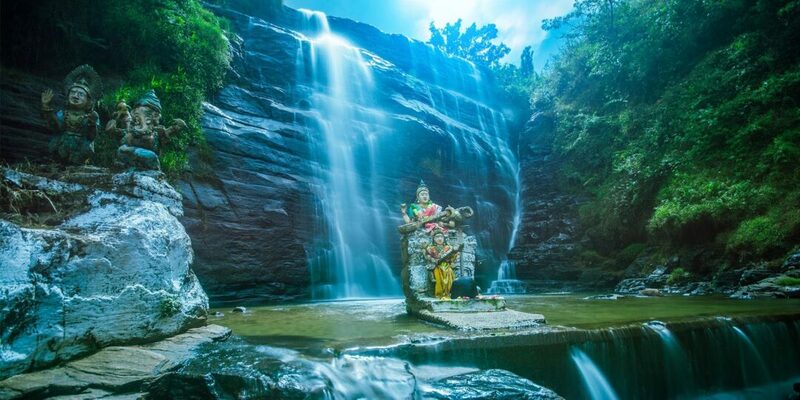 After that, visit the wonderfully-elaborate Hindu Temple in Matale. In the evening, you'll see one of Kandy's most famous sites – the Temple of the Tooth Relic, said to hold a piece of the Buddha's tooth. Tonight, you'll stay overnight in Kandy – we recommend the Earl’s Regency Hotel, a luxurious property located in spectacular tropical gardens. Enjoy another day in Kandy today, starting with a morning excursion to Pinnawala Elephant Orphanage. This nursery and breeding ground has around 90 elephant residents you can observe as they play and bathe in the Oya River. Next, you'll visit the Royal Botanical Gardens in Peradeniya, just outside of Kandy, featuring meticulously-tended gardens with more than 4,000 species of plants, including a wide range of orchids. In the afternoon, you'll enjoy more sightseeing in Kandy, then be treated to a cultural show with traditional music and dance. 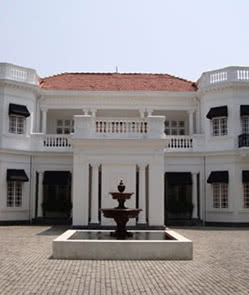 Spend another night in your luxury Kandy hotel. 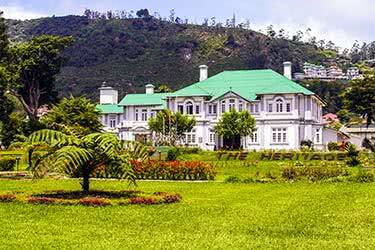 Today you'll depart Kandy for the scenic colonial hill town of Nuwara Eliya, some 2 hours away. 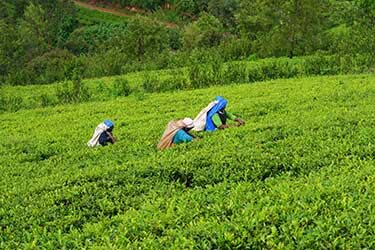 This beautiful outpost of waterfalls and tea plantations is located at the foot of Pidurutalagala, Sri Lanka’s highest mountain. 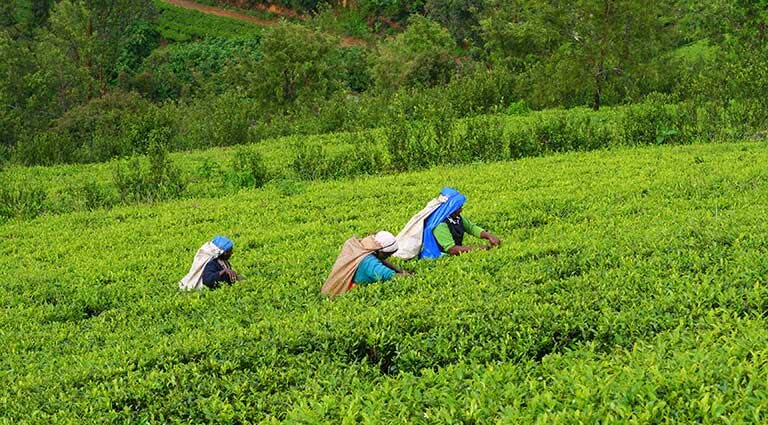 Here, you'll visit one of the area's many tea factories and enjoy a walking tour through parks, gardens and colonial squares. 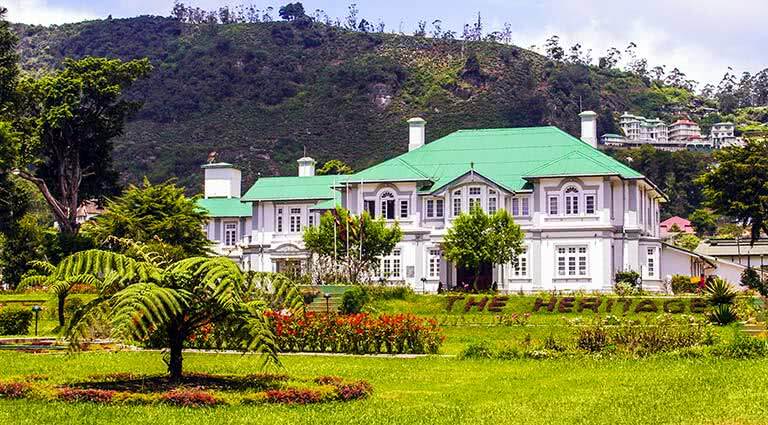 Today you'll check into a hotel in Nuwara Eliya – for an authentic colonial ambience we recommend the Grand Hotel, with its Tudor-style façade and lush, green lawns. 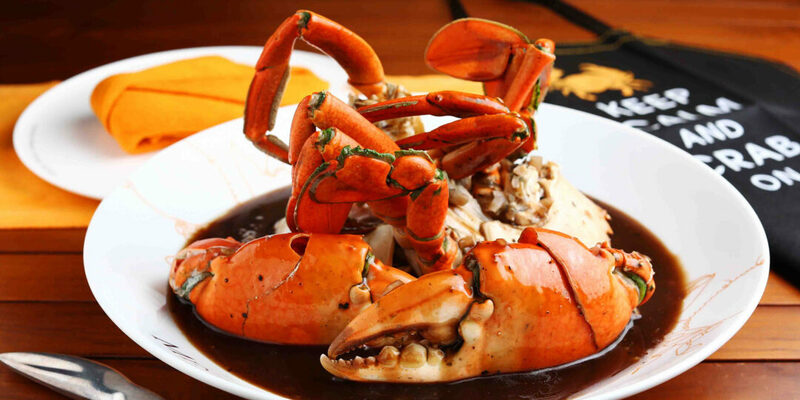 Enjoy a romantic dinner in the garden, or stroll the streets to find a cozy local restaurant. Be sure to sample some local orange pekoe tea. 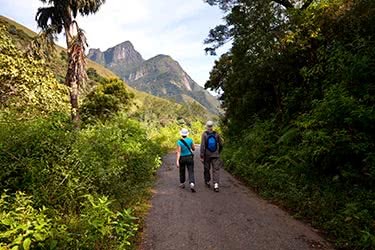 Get an early start today as you head out to Horton Plains National Park for a picnic breakfast. This nature reserve is home to the famous "World's End", a precipice with a vertical drop of more than 2,600 feet. This verdant, mountainous area is crisscrossed by numerous walking trails where you can enjoy the pure mountain air and some of Asia’s most lush scenery. 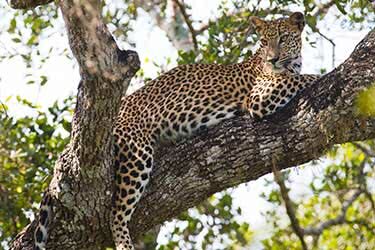 You'll spend the day here exploring the grasslands and the forests, spotting Sri Lankan Sambar Deer and a wide array of birdlife, and seeing unique flora such as the famous "twisted trees" – a result of prevailing strong winds. 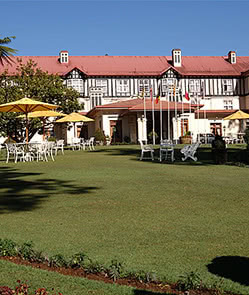 In the evening, enjoy a relaxing night at the colonial Grand Hotel in Nuwara Eliya. 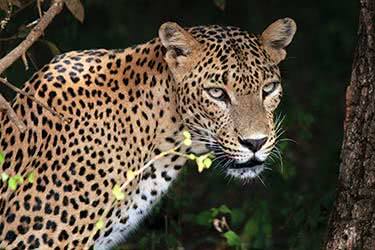 Today you'll leave the hotel for the 2-hour drive to Yala. 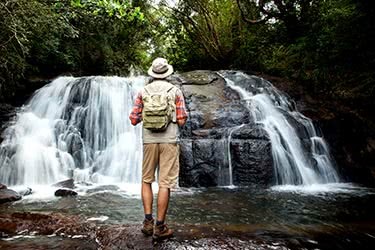 Along the way, you'll pass through Ella on a spectacular journey through mountainous scenery, past waterfalls and through emerald-colored forests. 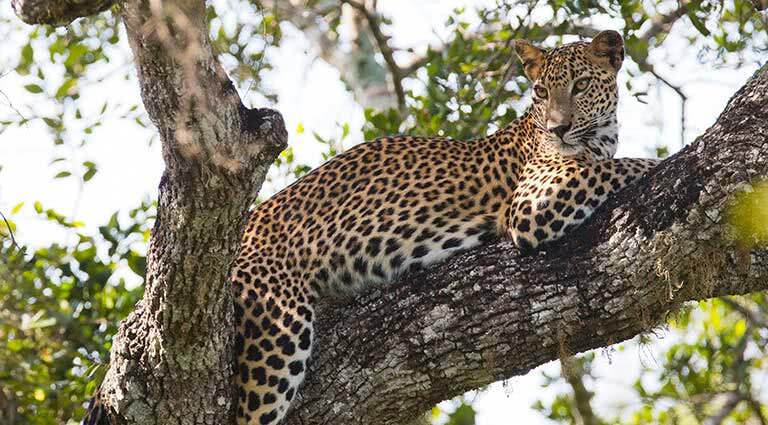 This afternoon, embark upon a safari in the Yala National Park, the second-largest park in the country and a wildlife sanctuary, home to leopards, Sri Lankan elephants and a vast array of waterbirds. 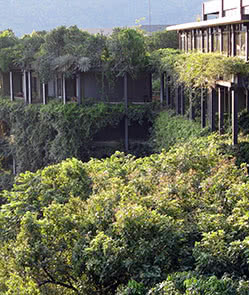 The park comprises wetlands, monsoon forests, scrub, grasslands and beaches, supporting a range of different ecosystems. Tonight, you have the option of staying near the park in a comfortable-yet-basic hotel, or driving an hour to the luxurious Amanwella resort. 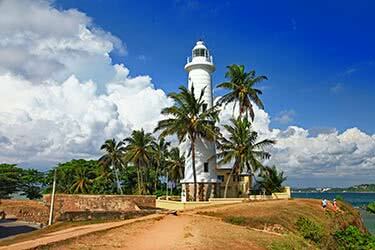 Today you will make your way to the old port town of Galle, around 3.5 hours' drive. This beautiful fort city was colonized by the Dutch, the Portuguese and the British, and its colonial ramparts still remain, achieving UNESCO World Heritage status for the city. Here, you will visit Mulkirigala Rock Monastery, a rock temple complex with intricate frescoes, stone stupas and hidden Buddha statues. 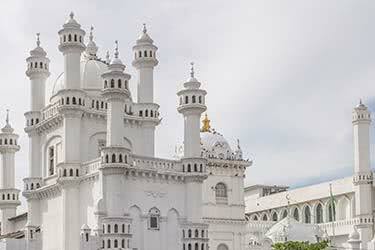 Next, visit another prolific religious site, the colorful Wewurukannala Temple. This temple site houses graphic dioramas of "Buddhist Hell" and various other mythological scenes, painted statues of Hindu gods and Buddha statues showing different stages of enlightenment. 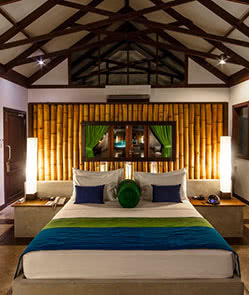 Tonight, check into your hotel in Galle. 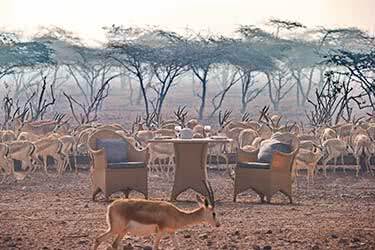 We recommend the elegant Amangalla, housed in a restored 17th-century building, or The Fortress Resort and Spa, located right on the beach. 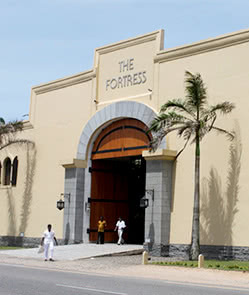 After a gourmet breakfast in your hotel, you'll explore the Dutch Fort with its mix of Dutch and Portuguese colonial architecture. 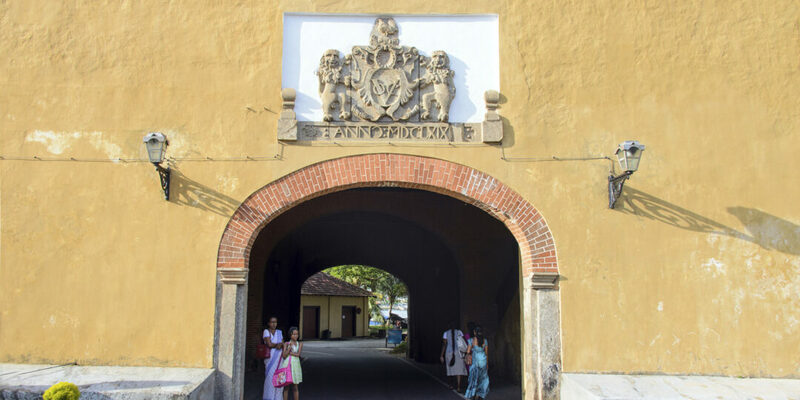 Here, you'll find the Galle National Museum, where you can view old military artifacts, turtle shell ornaments and native handicrafts. After a leisurely half-day tour of the fort, you'll head to the Rhumasala and Yatagala Temples in the afternoon. Yatagala Buddhist Temple is a fascinating site, more than 2,300 years old, built around boulders and carved into rocks. Exploring this site, you'll discover moss-covered Buddha statues hidden between boulders, and a sacred Bodhi tree. Conversely, Rhumasala is a modern temple, a gift from Japan that overlooks the water towards Galle. 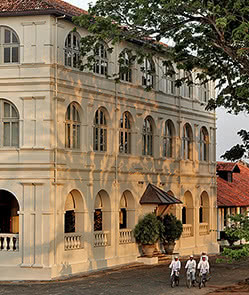 Tonight, enjoy the final night of your journey in night in your luxury resort in Galle. 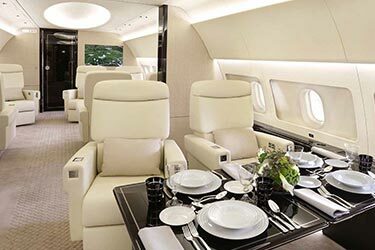 Today, enjoy breakfast at your hotel, before driving 3 hours to the airport to catch your departing international flight.